"The Daguerreotype Achromat Art Lens is a revival of a lost esthetic that disappeared from photography some 175 years ago. Based on the Charles Chevalier's historical lens model and built using a unique achromat design, you can now create modern images that look like world's earliest photographs bathed in a powerful, alluring veil of light." Lomography is making it possible for you be one of the first people to get your hands on the Daguerreotype Achromat Art Lens by becoming a backer of their Kickstarter. You will be sent the Daguerreotype Achromat Art Lens before it is released to the public. The project launched on April 6 and hit its target goal of $100,000 in under four hours. 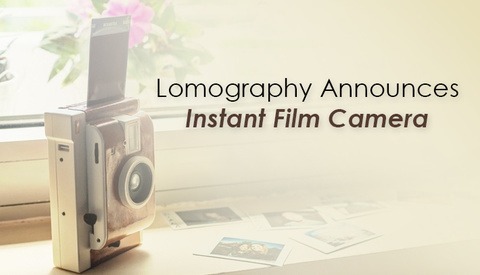 To reward all the faithful Lomo followers, they will be adding in extra goodies and perks for the backers. There are still a couple of slots available so you too can get a lens, but hurry as it won't last. Here is a little history re-cap for the history buffs out there. 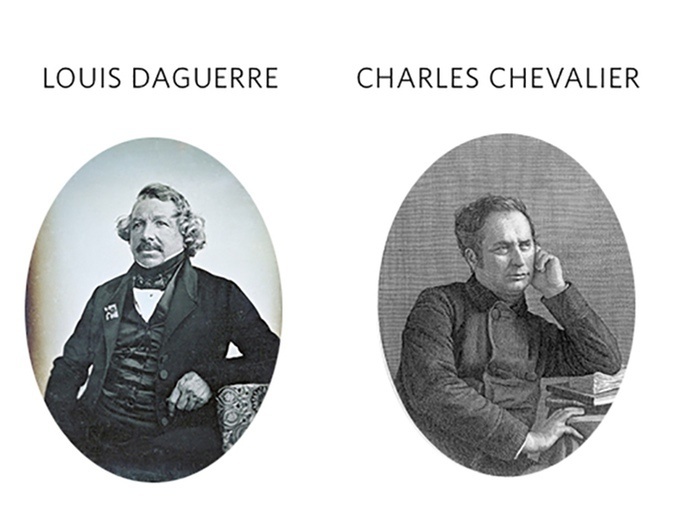 Photography as we know it is because of two awesome dudes, Charles Chevalier and Louis-Jacques-Mandé Daguerre. You can consider them the fathers of photography. While most of us in our teens might be thinking about girls or buying a car, Chevalier was designing the first handcrafted optic lens in the world. Chevalier’s dear friend Nicéphore Niépce sent him off to meet with Daguerre to combine his lens with the Daguerreotype camera. 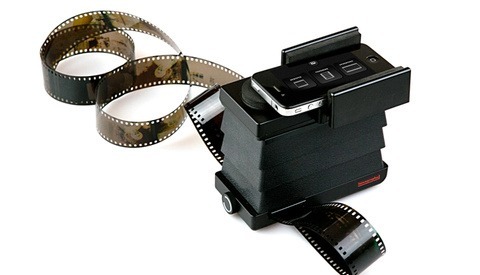 By combining both of their inventions they created photography as we know it today. In 1839 they submitted the patent and the French government declared the patent a gift "free to the world." 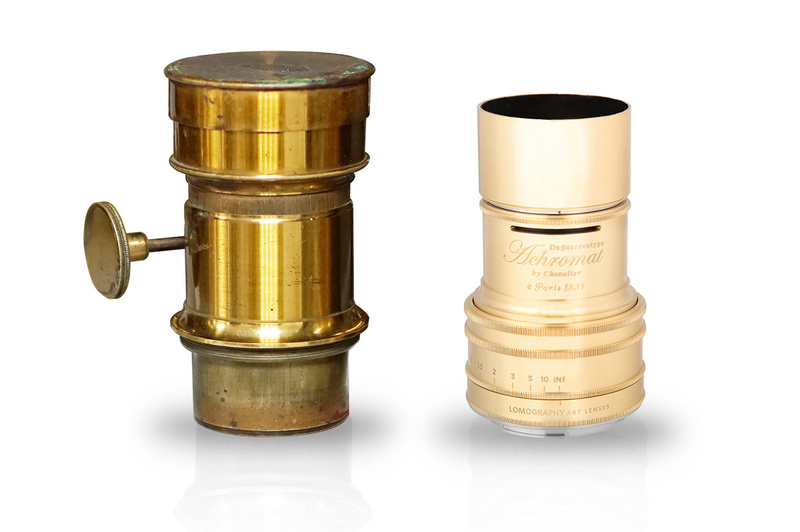 In recent years, the original Daguerreotype-Chevalier lens was replaced by "faster" lenses, to give pictures a more transparent finish and allow for shorter exposure times. The Daguerreotype Achromat Art Lens works with a Waterhouse Aperture Plate system, which allows full creativity with depth of field, and loads of variation in bokeh effects. 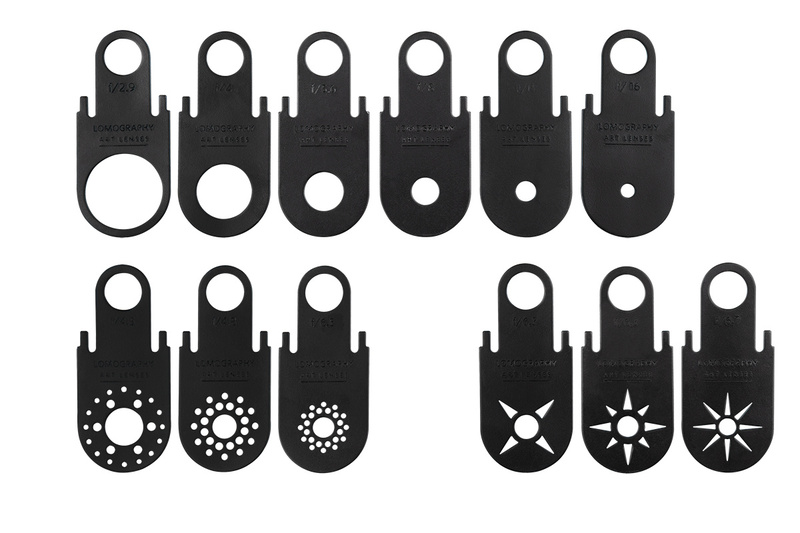 It's an easy and fully-manual way to control your aperture, by inserting specific plates into a shaft in front of the lens elements — a difference to previous models where these were placed in between lens elements. 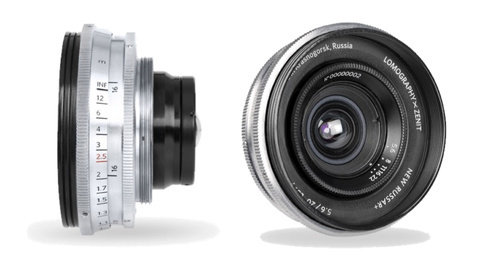 The lens' optical construction has been redesigned to allow both ethereal soft focus from apertures below f/4, or razor-sharp results with deep contrasts from f/5.6 onwards. Premium Quality Craftsmanship of the Art Lens Family: designed and handcrafted in a small manufactory. The Daguerreotype Achromat Art Lens has been reinvented for use with modern-day digital and analog cameras. Available in Canon EF or Nikon F SLR mounts, and compatible with multitudes of other cameras using adapter mounts, such as the Sony Alpha series, Fuji X-Pro 1, and Micro 4/3 Cameras. 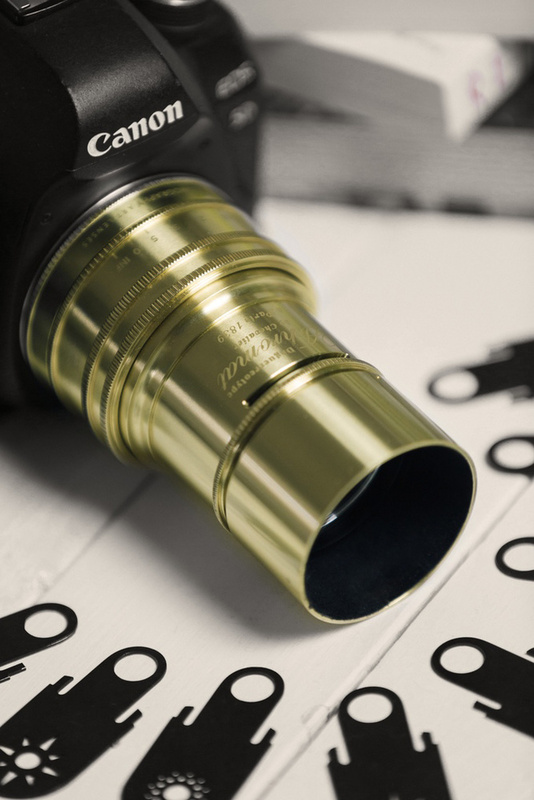 The lens is available in a sleek brass or glossy black finish. 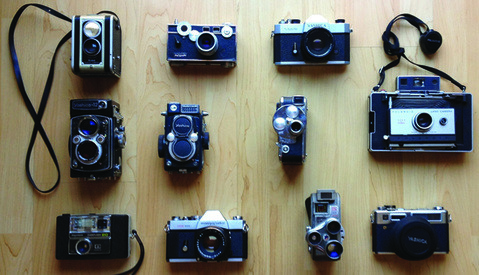 Canon EOS Mount (Analog/Digital, Full frame & APS-C/APS-H): Canon 1D/s MkIII, Canon V, Canon 7D MkII, Canon EOS 3, EOS 5 & more. Nikon F-Mount (Analog/Digital, Full frame & APS-C): Nikon F3, Nikon D300, D800, Nikon D5, Nikon FE2, Nikon F100 & many more.D800, Nikon D5, Nikon FE2, Nikon F100 & many more. Fujifilm FX Mount (Digital APS-C): Fujifilm X-Pro1, X-Pro1, Fujifilm X-M, Fujifilm X-E & many more. SONY NEX mount (Digital Full frame & APS-C): Sony A7, Sony NEX 7, Sony NEX 5 & many more. Micro Four Thirds Mounts: Olympus OM-D E-M10, Olympus PEN-F, Panasonic Lumix DMC-GX8, Panasonic Lumix DMC-GF6 & more. Lumix DMC-GX8, Panasonic Lumix DMC-GF6 & many more. Leica M (Analog/Digital, Full frame & APS-C): Leica CL/E*, Leica M6*, Leica M (240)**, Ricoh A12 (LM-mount digital module) & many more. 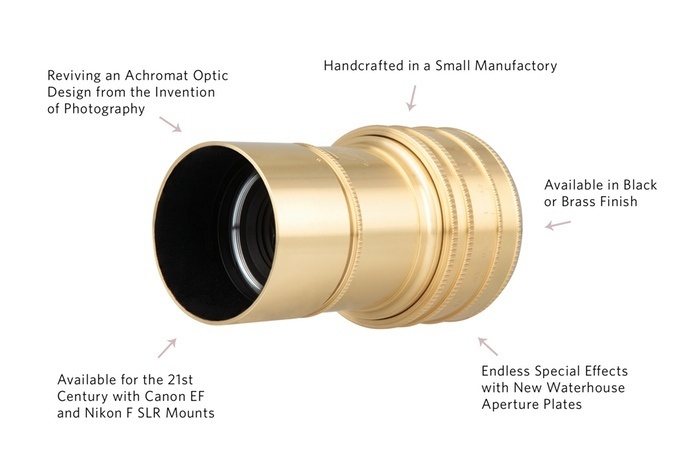 "From the eye-catching exterior design down to the very tiniest interior detail, the technical features of the Daguerreotype Achromat Art Lens have been fine-tuned to provide an incredible photographic experience." soft and tacky. just like the black and white selective color technique. focus on IQ not gimmick.